Elmar Schmidt was travelling southwards after the 10th Conference on Light and Color in Nature in Maryland. 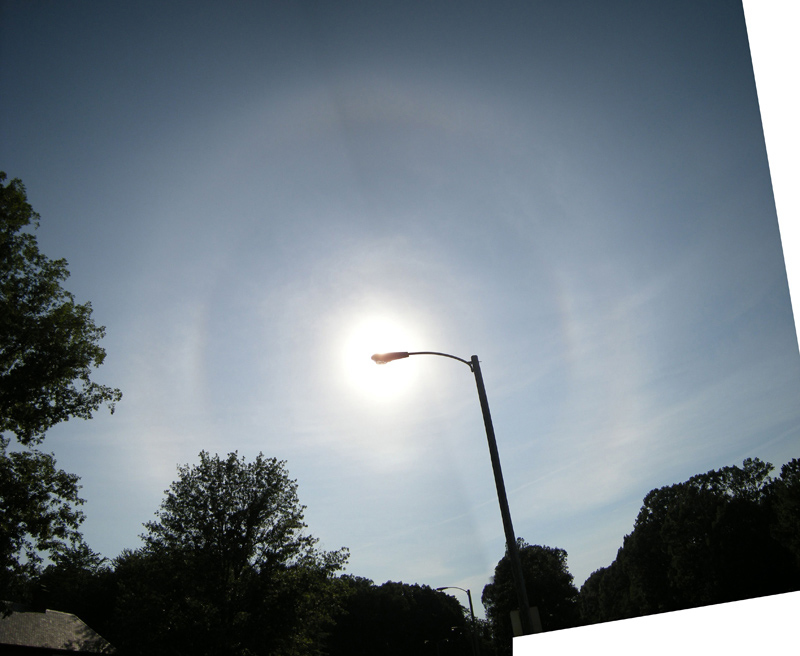 He observed this spectacular pyramidal halo display in central Virginia on 22 June. 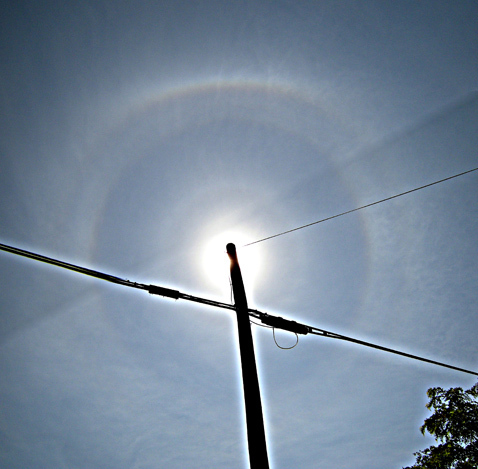 The display lasted for at least 2 1/2 hours and showed several odd radius halo rings and their tangent arcs. I will get color slides too. 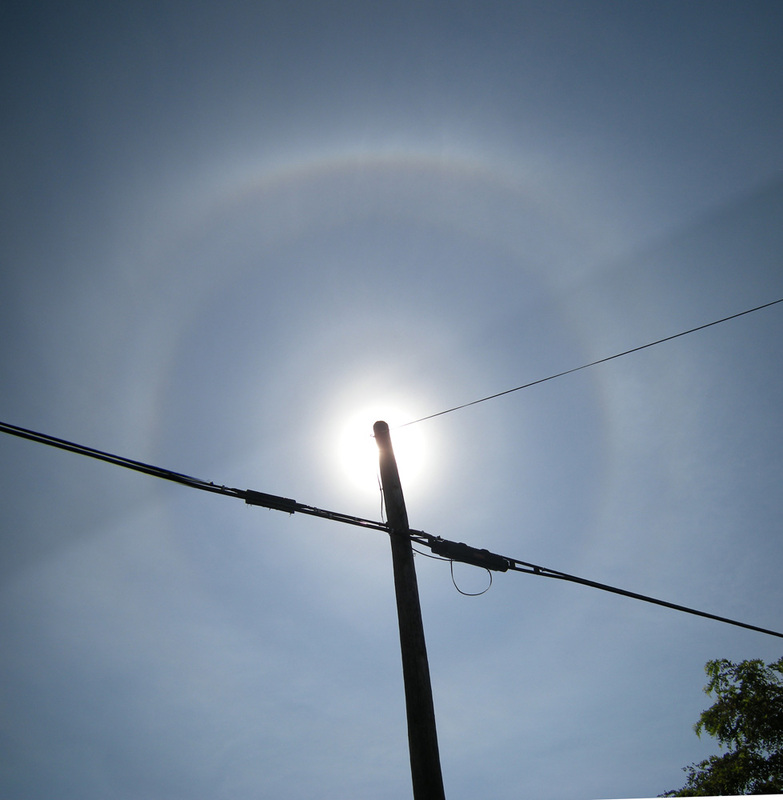 The 20° halo is nicely discernible. The other rings seem to be 9°, 18° 23° and 35° halos. Also, there are plate arcs from poorly oriented crystals, namely 18° and 23° plate arcs. I finally received my slides, and YES, Jukka, there is the 35 degree ring, clearly seen on the original exposures. I will post scans a.s.a.p.